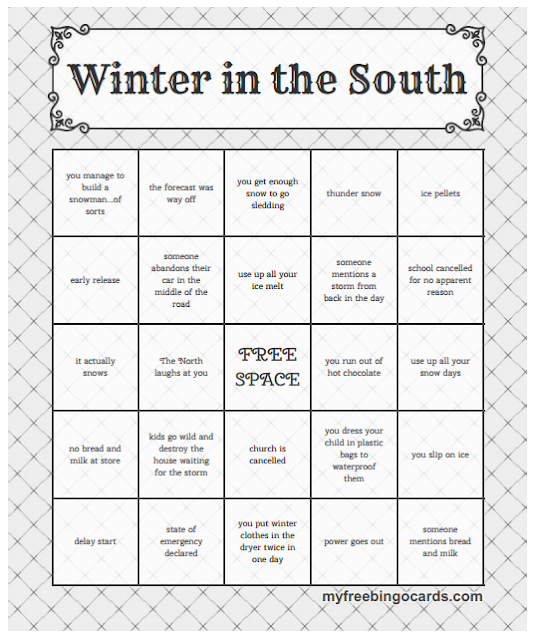 Heissatopia: Winter in the South—BINGO! 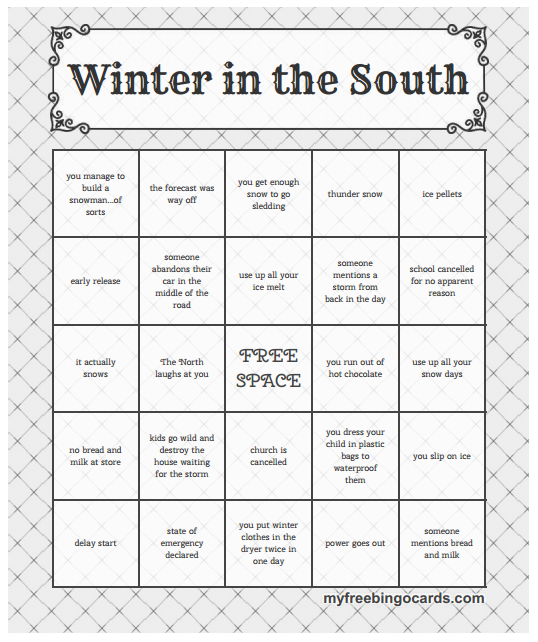 To keep from going insane this winter (nine snow days last year was a little bit much) I made up a "Winter in the South" bingo game. I think I'm going to print out one card for everyone in our family and we'll see who gets to bingo first. I don't know what the prize will be. Something awesome like...sleeping in...or something. That's all the kids could talk about before they went to bed last night, "Yay! It's a snow day! I can turn off my alarm and sleep as long as I want to!" But then they—all three of them—were up before their alarms even usually go off, probably woken up by the tinkle, tinkle of snow pellets dancing on the roof. So much for sleeping in! Zoë went to book club with me last night so, thankfully, slept through her siblings' early morning jubilee. Anyway, here's a link to the cards so you can print out one for yourself!